Franklin Loomis Crane was one of Topeka’s most dedicated founders. In addition to turning over his 40-acre homestead for use as the city’s cemetery, Crane was active in the Topeka Town Association and generous with his other holdings. He also is the only member of the association who can boast a line of heirs stretching another seven generations in Topeka. His own line was in America well before the Revolution, and his grandfather David Crane served directly under Gen. George Washington. Born Jan. 10, 1808, in Connecticut, Crane finished school and took up the study of dentistry with an uncle. He moved to Easton, Pa., to start his own practice. He married Mary Elizabeth Howell in 1838. They had four sons before her death in 1845. Upon the opening of the Kansas and Nebraska territories in 1854, Crane decided to see what the west had to offer. On a steamboat between St. Louis and Westport, Crane met Cyrus Holliday, whose excitement about starting a new life in the Kansas Territory was apparently infectious. Rather than accompany Holliday on his search for a place to build a town, Crane returned to Pennsylvania, where he liquidated his assets and headed back west with his youngest son. After his arrival in Topeka in March 1855, Crane was taken immediately in by the town association and given the task of putting people and building lots together. The ledger in which he recorded the names and addresses of each sale also became a diary of sorts, as he jotted down his thought between the columns. Because sales weren’t recorded during the new town’s first several months, “I spent many days in hunting the corners of blocks and pacing to certain lots and making due records of ownership,” Crane wrote in his diary. From that point he platted blocks with 25-foot wide lots and created a numbering system to create addresses. While the business district was growing south from the river, the matter of a cemetery came to the forefront. The burial ground at the time was on Kansas Avenue just a few blocks south of the main part of town. Attempts to find a suitable place to relocate the cemetery failed, so in 1859, Crane offered use of a tract of land he owned about a mile east of the city for the cemetery. He had 40 acres at this homestead, where he already had a house built. This cemetery would be home to the Crane family for the next century. The main house was expanded, and second home for son David Crane was built. A carriage house and barn also were added. The main home and outbuildings were constructed with limestone quarried on the grounds. Crane had brought with him to Kansas a lime kiln, used for rendering the stone into powder that could be mixed for mortar. This was an important tool in an area that had few hardwood trees. Crane worked to remedy that situation, too, by planting hundreds of trees on the cemetery grounds. The walnut trees are still producing today. About the same time, Crane was appointed mayor on the death of the incumbent, and he actively lobbied for Topeka to be named capital when the new state of Kansas was formed. In 1883, the Copeland Hotel hosted a 75th birthday party for Crane. Newspaper accounts gave a guest list that read like a Topeka street map – Gage, Huntoon, Oakley, Mulvane, Klein, as well as Cyrus K. Holliday, for whom Holliday Square Shopping Center is named. Those accounts also asserted that Crane and Holliday were the two most important people in Topeka’s early history. Despite operating a cemetery, Crane was far from morbid. He was active in many facets of the growth of Topeka. He bred racehorses, and there was a racetrack joining the cemetery. Jockeys slept upstairs in the barn, the most notable being future vice president Charles Curtis (buried in Section 80). Crane also was an active Spiritualist, an adherent of the belief the living could communicate with the dead. In the last half of the 19th century this belief was mainstream, with Topeka filling its opera house and fairgrounds grandstand with people eager to hear from prominent mediums. Crane was tireless in his efforts to build the community. 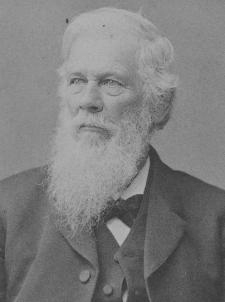 He was president of the Topeka Board of Education following the Civil War, and many schools were built during his tenure. The first shops for the new Atchison, Topeka & Santa Fe Railway were built on land he donated for the purpose. Crane died Nov. 21, 1884, at the home of his son Jesse in New Mexico. He is buried in the family lot in Section 9, just south of the circle in the center part of the original grounds. The headstones of dark gray granite all have rounded tops.